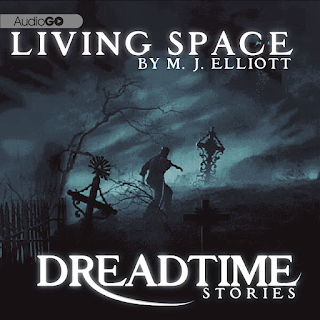 Dreadtime stories are a collection of short horror audio dramas that so far have not disappointed. 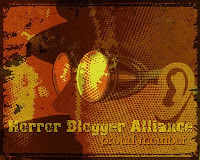 Previously I had done a double review of two different zombie tales (A Fungus Among Us, and The Late Shift) now I am moving on to other horror tales. Living Space tells the tale of a New York apartment with a difference, the owner Mr Winkler rents out the apartment for a dirt cheap price. For such a cheap price there must be a catch right? This being Dreadtime Stories of course there is a catch, a most deadly catch that a young couple gone to view the place most certainly find out. Living Space (by M.J Elliott) is fantastic, just superb, I enjoyed the previous stories I had heard but this is the first one that is so perfectly contained, so bare bones in its delivery, and so chilling that it is almost a perfect tale. Previously the scope of the tales has been so large that they have sometimes felt a bit confusing and rushed. Living Space is perfectly captured, fitting as it is all about a couple trapped in a deadly room. A cast of 4 characters (though mainly just three central ones), an intriguing premise and some fantastic actors (including Marshall Allman from True Blood and Jamie Anne Allman from The Killing). Though maybe it is a bit of a cheat saying it is good acting when the Allmans here are playing a couple but are married in real life anyway. As always for the Dreadtime Story reviews I have to mention the legend Malcolm McDowell, his narration drips with gleeful malice, he is perfect for the show, the cherry on top of the cake. The plot is sharp and concise, at about 42 minutes the story does not outstay its welcome and has twists that I just did not see coming as well as some grim descriptions and discoveries. Some of the reactions from the trapped couple did seem a little strange, the boyfriend may have been a comedian but the sprinkling of humorous bickering between the couple at times seemed a little unrealistic.